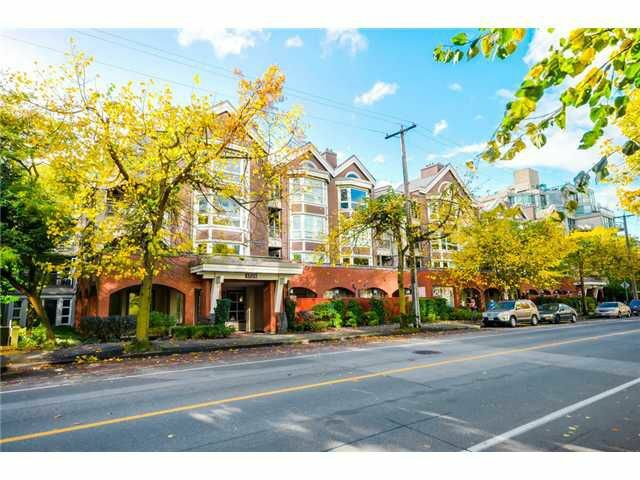 Stanley Park at your doorstep in this prime West End location! Bright corner suite with large open floor plan & southwest exposure overlooking a private garden courtyard. Cross hall bedrooms for privacy with two separate full bathrooms.The master bedroom window faces garden oasis with the calming sounds of a running waterfall. Enjoy the warmth from your cozy gas fireplace. The kitchen offers plenty of counter space & cabinets-enjoy your separate dining area. Great size storage with the suite. All you need to do is move in your furniture as the suite has new flooring, baseboards & new modern custom paint.The building has just been repiped. Two underground parking stalls. Access to fitness & sauna. Open Sat/Sun Oct 25/26 2-3:30.